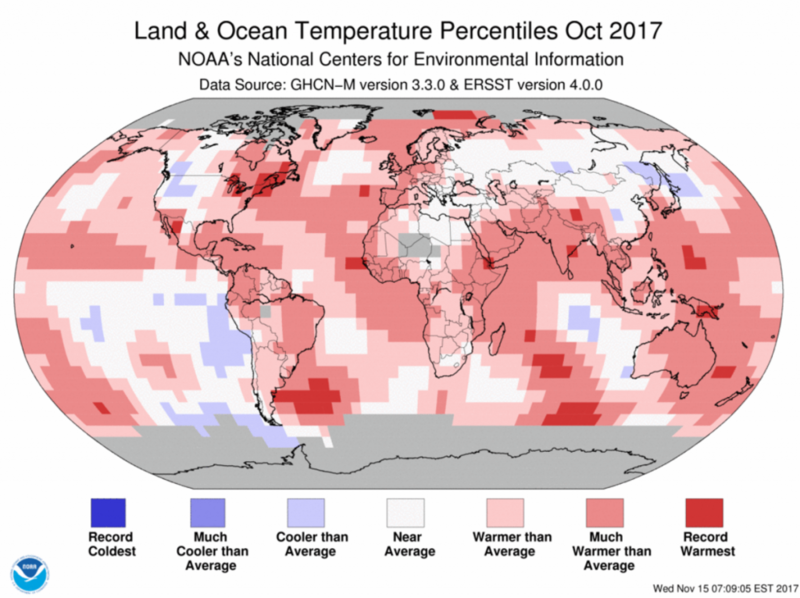 The latest monthly summary of global climate conditions from NOAA shows that the land plus ocean surface temperature for October 2017 was tied with 2003 as the fourth warmest on record. 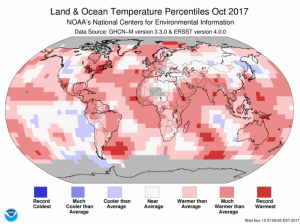 The January through October value was the third warmest on record, following the record hot years of 2016 and 2015. 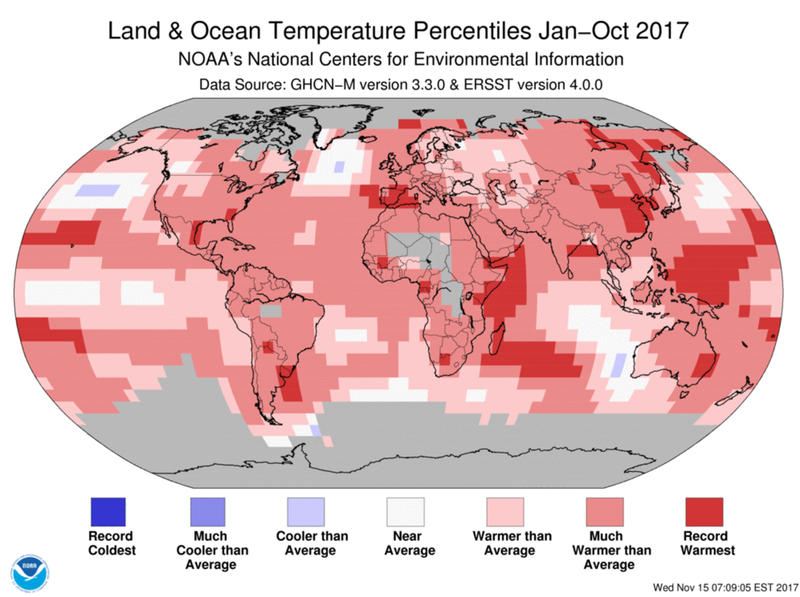 As reported earlier in this blog, parts of the Southeast are in their record warmest year to date. 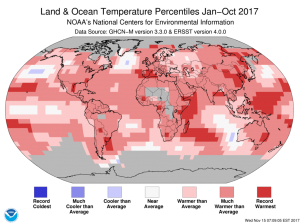 You can read more about the records and the extent of sea ice at https://www.ncei.noaa.gov/news/global-climate-201710.